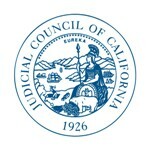 SAN FRANCISCO—The Judicial Council of California today announced four recipients of its 2015 Distinguished Service Award, the highest honors given by the state court system’s governing body. Now in its 22nd year, the award recognizes those who have demonstrated extraordinary leadership and made significant contributions to the administration of justice. Judge David Edwin Power has played a leading role in facilitating council oversight and management of the largest court facilities program in the nation. As chair of the council’s Trial Court Facility Modification Advisory Committee and as a member of its Court Facilities Advisory Committee and Facilities Policies Working Group, Judge Power has made an enormous contribution to the state’s portfolio of more than 500 court facilities for which the council assumed responsibility from the 58 counties in 2002. David H. Yamasaki has been a statewide leader in addressing some of the most challenging issues facing the judicial branch. As a Judicial Council member from 2011-2014, and as chair of the council’s Court Executives Advisory Committee for two consecutive years, Mr. Yamasaki was at the forefront of, and continues to be an important contributor to, major policies and strategic initiatives implemented by the courts, including sustainable funding, equal access and procedural fairness, and technology to improve service and operational efficiency. Judge Garry T. Ichikawa has demonstrated a long-term commitment to improving access to our courts. He was the driving force behind Solano County’s Dependency Drug Court, which has served as a model for other specialty courts, including the Solano’s new Integrated Domestic Violence Court, an effort Judge Ichikawa is now spearheading. The council will present the awards at a special ceremony on August 20 in San Francisco.